The gas giant isn’t 100 percent gas. Scientists know surprisingly little about the deep interiors of gas giants, such as Saturn and Jupiter, but that’s changing. 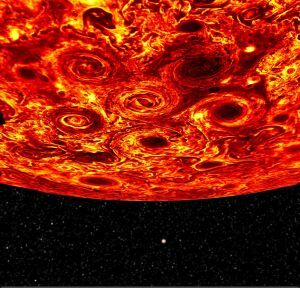 In four new studies, separately published in Nature, scientists provide incredible insights into what life is like below Jupiter’s clouds. 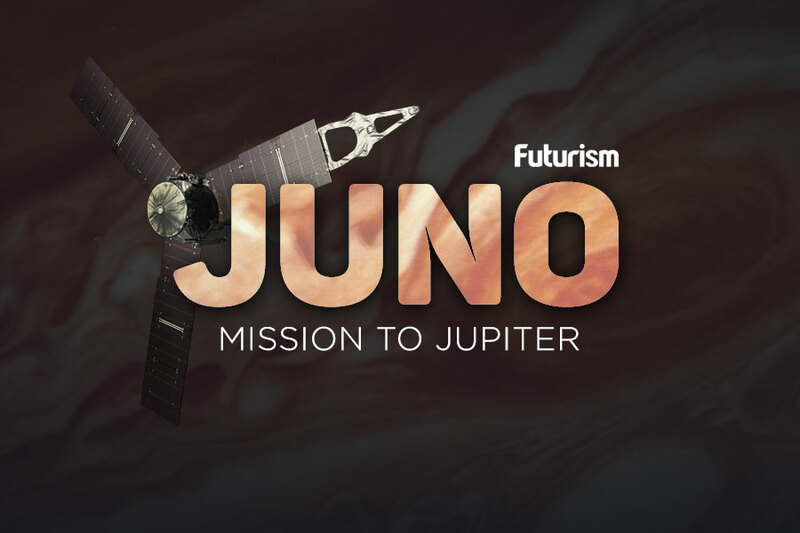 Their observations and analyses stem from key findings from NASA’s Juno mission. Previous studies of Jupiter focused on the planet’s most obvious features – its dark bands, bright zones, and big red spot – but these four studies use small signatures from the gas giant’s gravitational field to dig much deeper. In one study, Luciano Iess and colleagues found that the planet’s unusual gravitational field, which doesn’t show north-south symmetry, is the result of wind flows in its atmosphere and interior. In another, Yohai Kaspi and colleagues looked deeper into this wind and confirmed that Jupiter’s jet streams extend as far as 3,000 kilometers (1,864 miles) below cloud level. That group also determined that Jupiter’s atmosphere accounts for 1 percent of its total mass. Perhaps even more exciting is what Tristan Guillot and his team determined rests below these jet streams. According to their analysis, 3,000 kilometers (1,864 miles) below the surface of Jupiter’s clouds is a fluid mix of hydrogen and helium that rotates like a solid body. Lastly, Alberto Adriani and colleagues took a closer look at Jupiter’s cyclones using Juno’s visible and infrared observations of the planet’s poles. We’ve long known that cyclones swirl about on Jupiter, but we still do not understand where they come from or why they never merge. What we do know now, based on the research of Adriani and his team, is that these cyclones consistently make polygonal patterns. NASA launched Juno in 2011, and since the craft reached Jupiter in 2016, it’s provided invaluable insights into the gas giant. We now know that Jupiter’s environmental pressures and patterns create more than just the beautiful bands we may be familiar with. They are hiding cyclones that create stunning patterns, deep-diving jet streams, and a rigid, yet fluid, body. These studies do more than greatly increase our understanding Jupiter, though. They could tell us more about similar planets, such as Saturn, and maybe even help us understand the origin of our solar system.